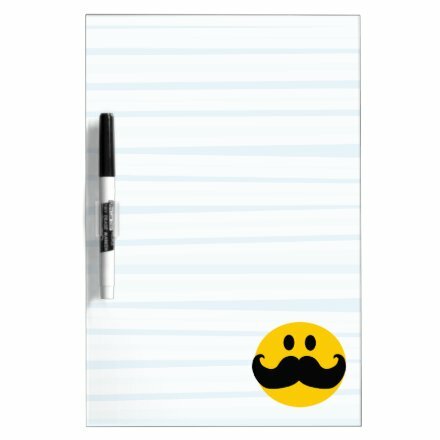 Mustache with Monocle Smiley Medium Dry-erase Board: Add this to your to-do list: Get a great custom dry-erase board from Zazzle! Vibrantly printed using the AcryliPrint HD process, you can customize this dry-erase board with any photos, artwork, or text to create a board as unique as you. Featured in three sizes, this dry-erase board is the perfect fit for the kitchen, office, school locker, or college dorm room. Check out other products with this design or view all at home & decorative. 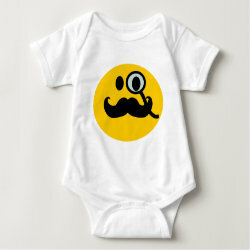 This dry-erase board with our Mustache with Monocle Smiley design is made-to-order by Zazzle.com. Zazzle offers 100% money back guarantee on our high quality Cute Union products. In case you are not happy with your purchase, you can always return your dry-erase board for an exchange or refund within 30 days of receipt. See customer service for more information.